The results of the Michelin Guide Hong Kong and Macau 2018 have once again cemented Hong Kong’s reputation as the culinary capital of Asia, with eight new restaurants awarded Michelin stars. Celebrating the 10th anniversary of the Michelin Guide Hong Kong and Macau, this year’s results revealed that there has been a triple increase in the number of restaurants awarded stars since its inception in 2008. 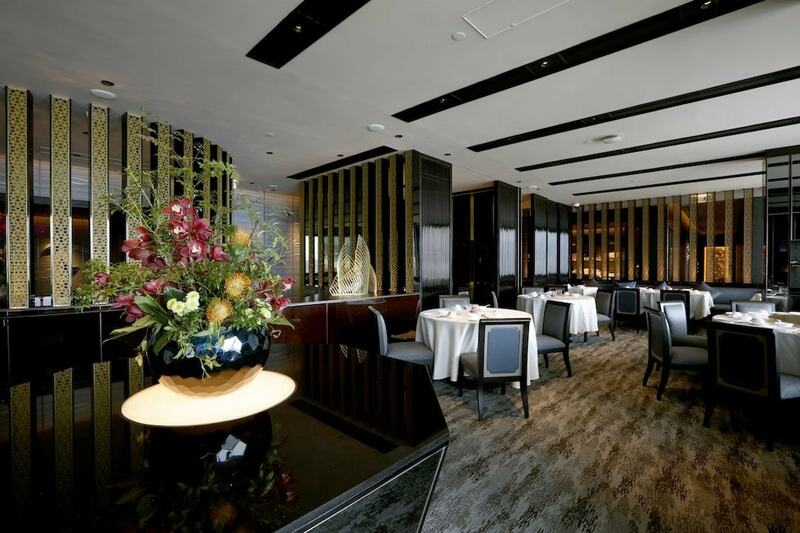 Six restaurants in Hong Kong retained their three-Michelin-starred stars and two in Macau. There are also 11 two-starred establishments in Hong Kong, and five in Macau, as per last year. 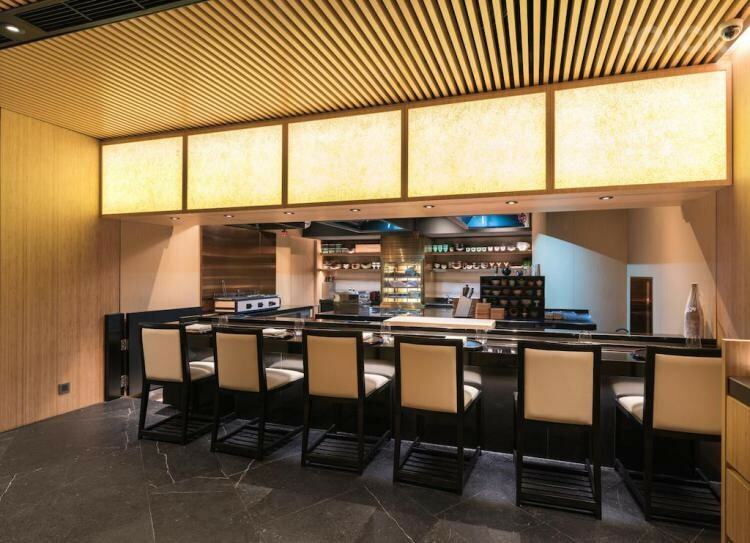 The full list for this year includes a total of 227 restaurants in Hong Kong, and 65 restaurants in Macau ranging from local Cantonese dining to upscale fine-dining restaurants. Arcane is the first solo venture in Hong Kong from multi-award winning Australian chef Shane Osborn. Arcane serves modern European cuisine presented in an a la carte menu, alongside daily specials and set lunch menu. Menus are seasonally lead, utilising the finest produce from Japan, France and the UK. Many of the dishes are vegetarian, reflecting Chef Osborn’s fondness for eating lighter and vegetarian-based foods, but there are plenty of meat and seafood main dishes as well to cater for all preferences. This exclusive high-end Japanese restaurant specialises in Kaiseki cuisine (a traditional multi-course Japanese dinner; the Japanese equivalent of Western fine dining). Kaiseki Den by Saotome was the first Japanese restaurant in Hong Kong to earn a Michelin star and earned it seven times (2010-17) in consecutive years. Having relocated and renamed itself earlier this year, the restaurant has been awarded a star once again. Notable dishes here include sea urchin truffle rice which gives the natural aroma of black truffle, and the delicious succulent charcoal grilled Wagyu beef. 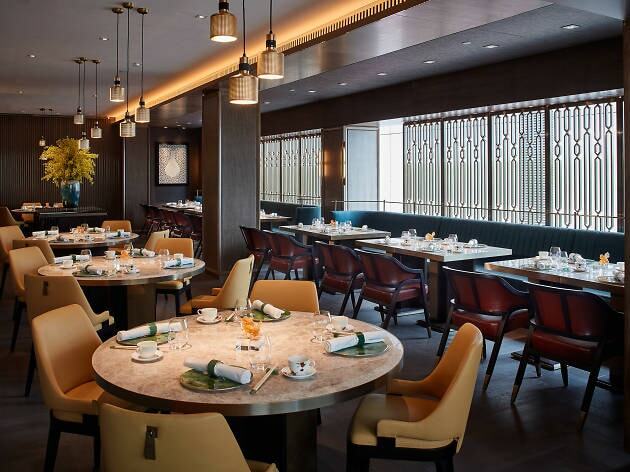 After having scooped two Michelin stars in the Shanghai guide and one Michelin star in the Singapore guide, Imperial Treasure opened their first branch in Hong Kong earlier this year and have achieved one Michelin star just months after opening. Specialising in high-end Chinese cuisine, standout dishes include the roasted suckling pig and poached coral trout in seafood soup with crispy rice. Their lunchtime dim sum menu is also worth turning out for. 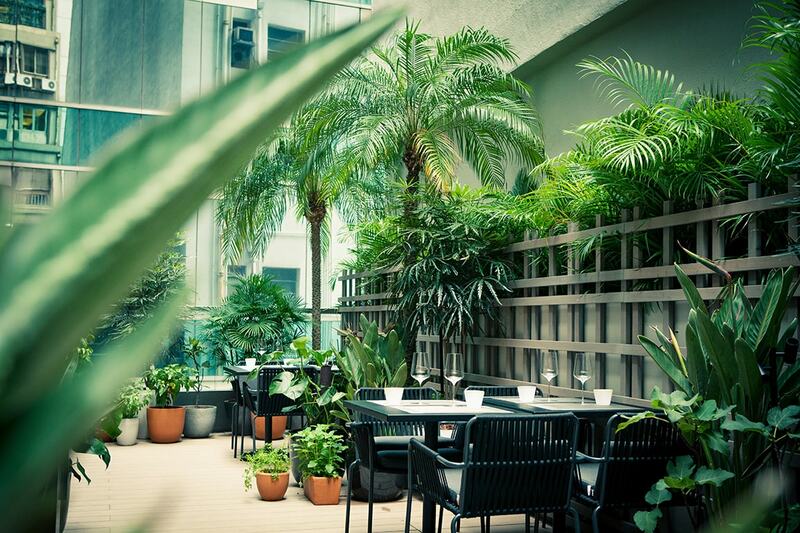 Ying Jee Club serves a modern take on traditional Cantonese classics with a touch of finesse. At the helm is Chef Siu Hin Chi, who has garnered 15 Michelin stars for the past nine years, and is widely acknowledged to be a legend within the industry. Their signature crispy salted chicken is a popular choice. Seafood lovers will not be disappointed with the wide selection of lobster and crab dishes. Innovative dim sum dishes and a vegetarian menu ensure that they have covered all bases. 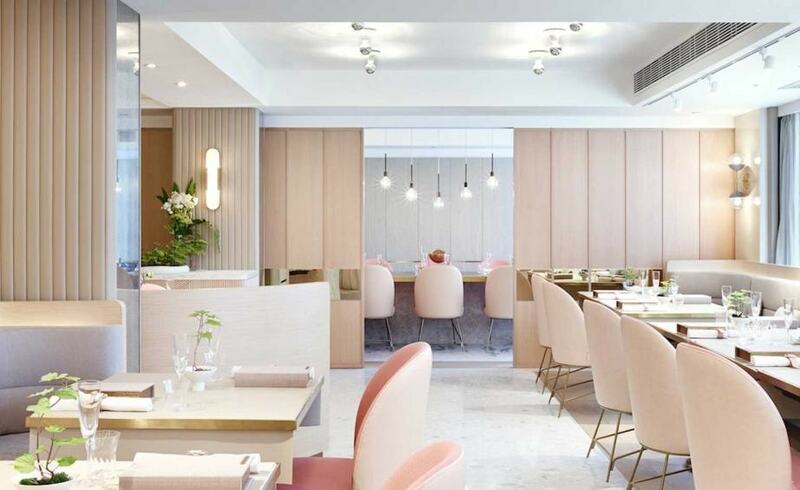 Yee Tung Heen offers up Cantonese cuisine with modern flair – the lunchtime dim sum offerings in particular are famous throughout Hong Kong and not to be missed. Menu highlights include the braised Wagyu beef rib with sesame and onion in beef jus, and braised rice with crab meat and spring onion. 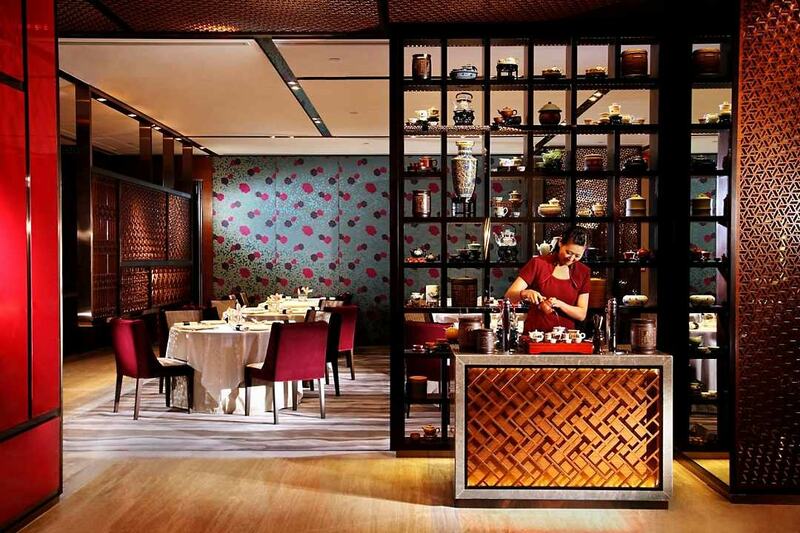 Diners can also choose from a range of premium teas specially selected from all over China. 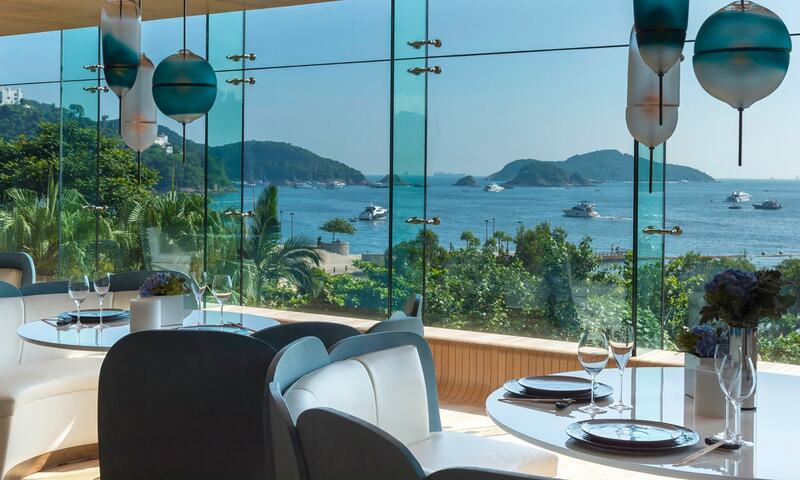 The Ocean by Olivier Belin is a beautifully designed seafood restaurant with floor to ceiling windows offering fantastic views of Hong Kong’s Repulse Bay. The Ocean is helmed by two-Michelin starred French chef Olivier Belin. Offering either an eight or five-course degustation menu as well as a la carte, they serve the most exquisite fresh seafood. The service, setting and the food are all a real delight. One of the most famous seafood restaurants in Paris, the first outpost of Rech outside of France is located in Hong Kong at the Intercontinental hotel. Chef Stéphane Gortina, who has worked with world-renowned chef Alain Ducasse for over 11 years, leads the kitchen here. The menu honours seafood dishes with inspired and creative dishes, seafood platters, and classic fish dishes such as whole Dover sole, wild cod aioli and skate wing. 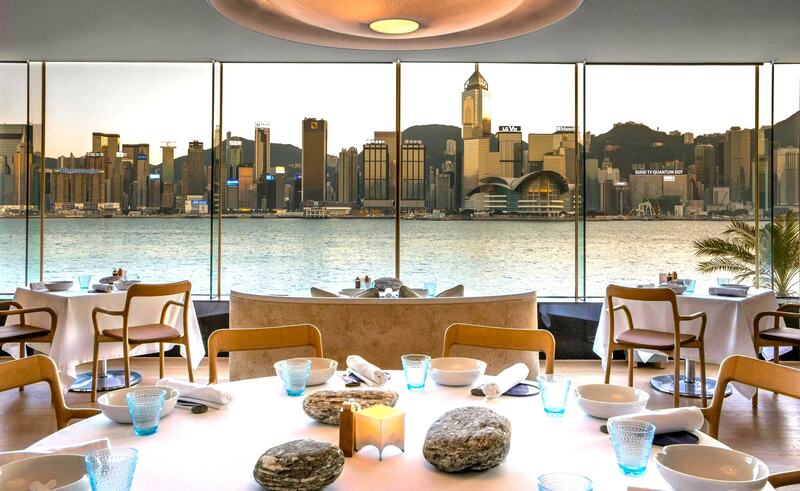 The restaurant also benefits from spectacular views overlooking Hong Kong’s famous Victoria Harbour. Tate is the fine-dining restaurant from chef Vicky Lau, who was named the best female chef in Asia by Asia’s 50 Best Restaurants in 2015. The menu here marries Japanese kaiseki with French haute cuisine – the dishes are described as ‘edible stories’ aiming to take diners on ‘an adventure of their own, as they experience both visual and gustatory stimulation.’ Expect classic European dishes given an Asian twist with spectacular and delicious results.